September 03, 2018 at 3:40 pm. The New York Jets finally confirmed what many suspected Monday when they announced rookie Sam Darnold will be the starting quarterback for their season opener next Monday night against the Detroit Lions. The 21-year-old will become the youngest quarterback to start Week 1 since the 1970 AFL-NFL merger. Darnold is 21 years, 97 days and will surpass Drew Bledsoe, who was 21 years, 203 days when he made his debut for the New England Patriots in 1993. The announcement was hardly a surprise given Darnold’s effective performances in the second and third preseason games. The Jets dealt Teddy Bridgewater to New Orleans last week and Darnold sat out the preseason finale, which usually was a clue that the No. 3 overall pick had won the job. 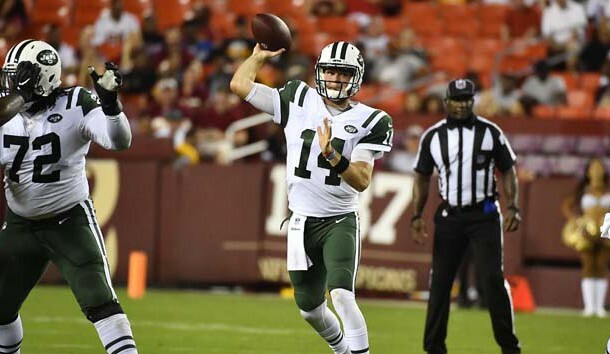 During a preseason competition with Bridgewater and incumbent Josh McCown, Darnold finished 29 of 45 for 244 yards and two touchdowns. The Jets drafted Darnold after he started 24 games for USC and he will be tested immediately with three games in 11 days. New York hosts Miami in its home opener on Sept. 16 and then visits Cleveland four days later. Darnold was among five quarterbacks selected in the first round and will be the only one to start in Week 1 as Baker Mayfield (Cleveland), Josh Allen (Buffalo), Josh Rosen (Arizona) and Lamar Jackson (Baltimore) will be backups.